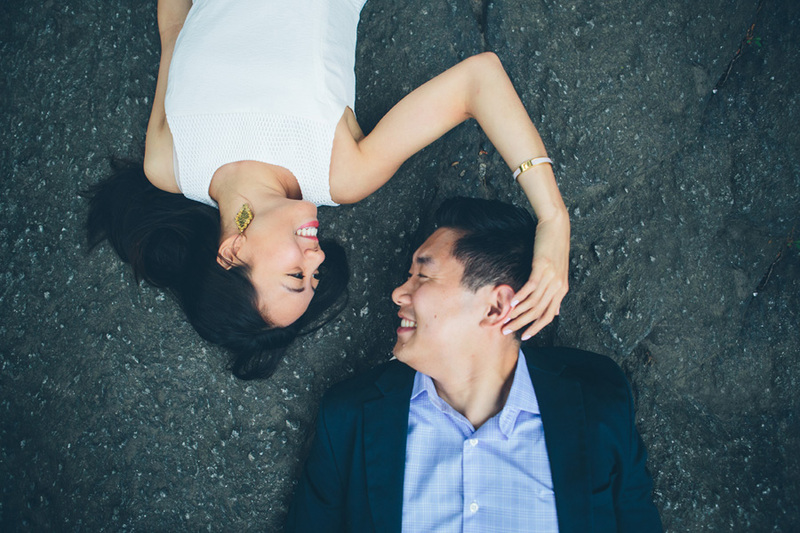 There's quite a few funny stories to surround this engagement session. Our first date was overtaken by a massive flash flood thunderstorm warning in New York City - so we had to reschedule. On the day of the reschedule, it said 0% of rain, yet still managed to have a few drops come down on us. The weather in New York City is SO unpredictable. But we were still determined (because their wedding is coming up soon in August!) and Margaret and Jing are super sweet and patient people!! 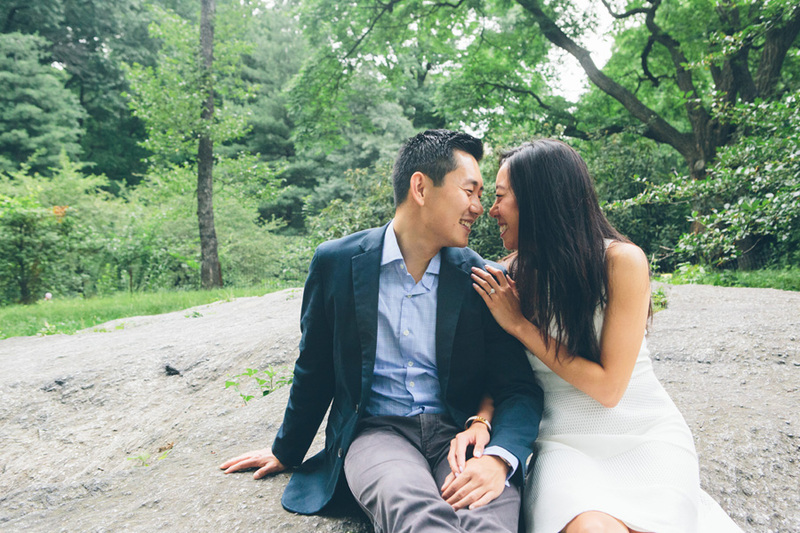 We had also planned to do the shoot in Central Park.. and when we got there we realize that the NYC Philharmonic free concert was happening the same night! There were floods and floods of people entering Central Park--but we didn't let that get in our way! 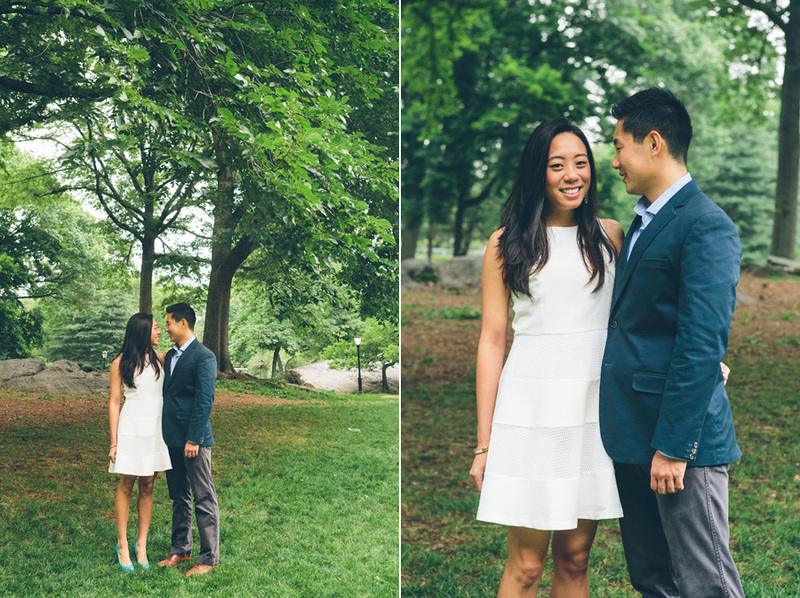 We got all the shots we needed and then finished up the shoot at Hudson River Park with some great waterfront shots. Even through all the obstacles--the shoot ended up being a ton of fun and we got some awesome shots!! You never know what to expect here in New York City - that’s why with weddings you have to be able to be flexible and go with the flow!